The rains have bid adieu for the year promising a quick return next monsoon. Are you one of those beginners who had dreamt of commencing treks during the monsoon but missed it? No worries! Though Mumbai as a city can get dusty and sweaty, it provides easy accessibility to the scenic and cooler Sahyadris for a quick hop, skip and jump. Here is a list of 6 great options for trekking near Mumbai in winter with Small Steps Adventures! 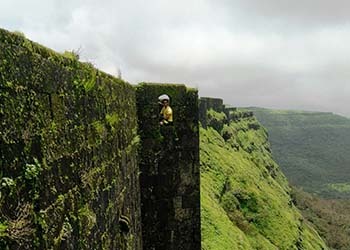 One can check schedule for upcoming treks near mumbai. 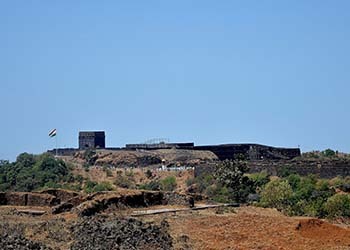 This fort holds a special place among the historic locations in Maharashtra. It was here that Chhatrapati Shivaji Maharaj was coronated. It provides an excellent view of the surroundings and one can find the remnants of old walls and fortifications. The way to the top is easy due to the availability of rock cut steps. A neighbouring route through pane village one can reach to Linagana base. A rich history coupled with excellent views makes , a must for a trekker. 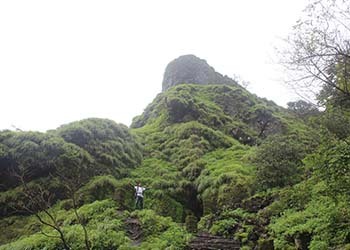 Korigad/Koregad, is one of the best place for trekking and camping near mumbai. It is one of the easiest treks that one can go on. Cars can now drop you right at its base. The initial part of the trek involves hiking through a densely vegetated terrain but the second level of ascent is even easier due to the presence of well cemented steps. 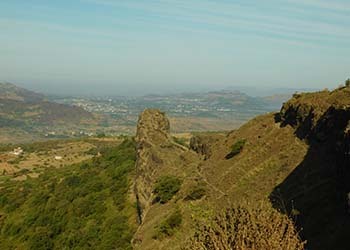 Lohagad Fort is very easy to go for due to the availability of transportation. The fort is well preserved and offers an excellent view of the surrounding area Pawna backwaters. Today, the fort still houses the five gates and the high walls that kept intruders at bay. An interesting feature of the fort is the Vinchu kata (scorpion’s tail). Though a part of it is damaged, it is still considered safe for trekkers to tread there. 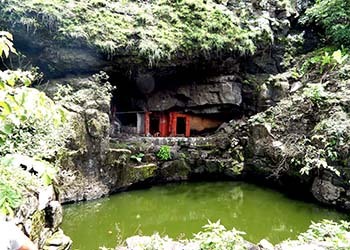 Its the best place for camping near pune. Located at a higher elevation than its twin fort Lohagad, Visapur is a large and easily approachable fort and is almost always a part of . It has plenty of water cisterns on the top and a long circular plateau. The fort lies in ruins in the present day but that does not making it any less interesting to visit. One can find old water cisterns and a few temples of Lord Hanuman scattered over the precinct. Karnala fort trek is perhaps the easiest of all treks. It is a hill fort that falls under the Raigad region and is a mere 15 km from Panvel. It is an important landmark, thickly forested and has been declared a Bird Sanctuary. The route is well laid out and leads one to the base of the 125 m thumb shaped pinnacle which houses a few caves at its base. It’s a tall basalt pillar known as Pandu’s tower which was used as a watch tower in the olden days. The fort was considered very important as it overlooked the Bor pass which connected the Konkan region to Deccan and was thus a trade route between these regions. 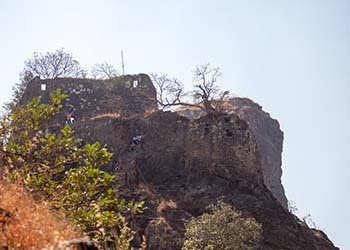 Also known as Vitandgad, this fort was under Nizamshahi reign until it was captured by Shivaji Maharaj in 1657 along with Mahuli, Lohagad and Karnala. It was surrendered to the Mughals in 1665 as a part of the Treaty of Purandar but was recaptured by the Marathas within the next five years. It remained in their domain until 1818 where upon it was captured by the British. The route to this fort is quite safe and easy. There are rock cut steps, water cisterns and caves. A lime stone mixer and the idol of Veer Maruti are famous attractions at Tikona. One also comes across various vendors selling hot bhaji, tea and lime juice on their way up making it a great spot for .